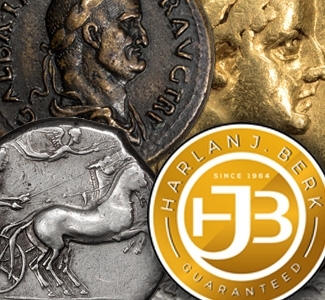 Heritage’s Long Beach World & Ancient coins Signature auction, scheduled for September 8-12, is open for bidding! 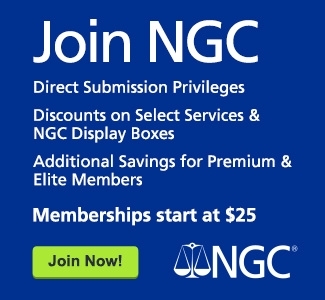 Although it feels like the final hammer just fell on our August Platinum Night auction, we’ve managed, with the help of more than 270 consignors, to amass over 4,200 lots for your bidding consideration. 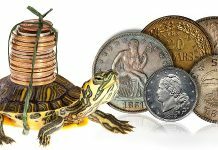 Like our Long Beach auctions in previous years, this offering is chock full of collectible coins at just about every level of affordability. We hope you appreciate not only their rarity and quality, but also the incredible periods in history that they highlight. 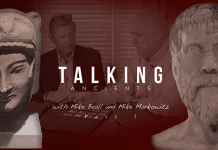 From the dawn of coinage, the 770-coin selection of Ancients in our Signature Floor and Internet sessions is one of the most comprehensive Heritage has yet offered, many of them from a wonderful old collection assembled in the 1960s-’80s comprising a virtual survey of the Greek world. 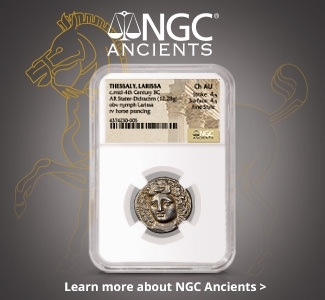 Among the many highlights of our Greek offering are several splendid examples of early Italo-Greek incuse coinage from Metapontum, Croton and Sybaris; a remarkable run of Athens “owl” tetradrachms of superb quality; and an exceptional selection of early electrum coinage from Lesbos, Mysia and Ionia. 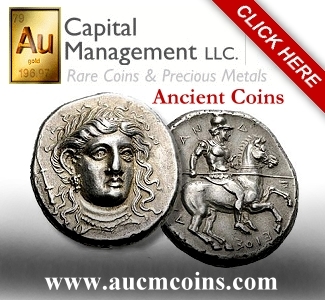 Roman coinage is nobly represented by exceptional gold aurei of Julius Caesar, Trajan, Nero, Hadrian, Antoninus Pius, Faustina Senior, Lucius Verus (including a spectacular Gem MS specimen), Gordian III, and solidi of a host of late Roman emperors and empresses. Closing out the Ancient world is an impressive run of Byzantine gold solidi spanning the sixth through 12th centuries CE. There is impressive diversity among the more modern offerings in this auction, with selections from 160+ countries. 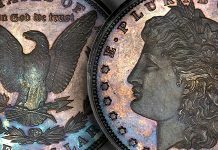 Without question, the offering of Swiss coins, anchored by part two of the incredibly comprehensive Redwood Collection, stands out. 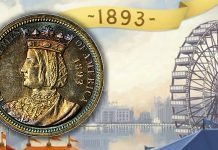 With well over 350 Swiss coins represented between the Signature Floor and Internet Sessions, and selections spanning every collecting niche, chances are good you’ll find that elusive date or long-sought superb-quality example in the following pages. 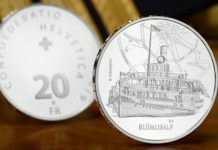 Notable highlights include a rarely seen 1796-dated duplone from Lucerne, graded by NGC, as well as an extremely rare 100 francs mule in white metal combining the classic 100 francs “Helvetia” obverse from the 1925 100 francs emission with the Fribourg shooting festival type of 1934. Other noteworthy collections include the F.P. Briand Collection of French Colonial Issues that contains not only coin rarities, but numerous captivating token and medallic emissions as well. While many items are certainly deserving of mention, the crowning jewel from Mr. Briand’s collection is a marvelous dual-country presentation essai set from 1948 that is quite likely unique in its composition. Another section that deserves mention is the group of 100+ Brazilian medals comprising selections from numerous consignors. This group offers a rarely paralleled window into many of the most important events in the early history of independent Brazil. Individual highlights include an extremely rare 1613-dated klippe 1 1/2 taler from Pomerania-Stettin, of which only two are known, and an astounding 1761 Mexican 8 escudos of Charles III with the Order of the Golden Fleece on his chest, a one-year issue. Finally, an elusive 1922 Australian sovereign from the Melbourne Mint, graded MS63+ by PCGS, should excite the many impassioned date collectors of this challenging series. 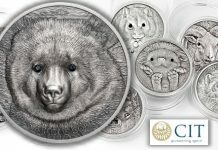 View the lots in this auction now at HA.com/Coins!